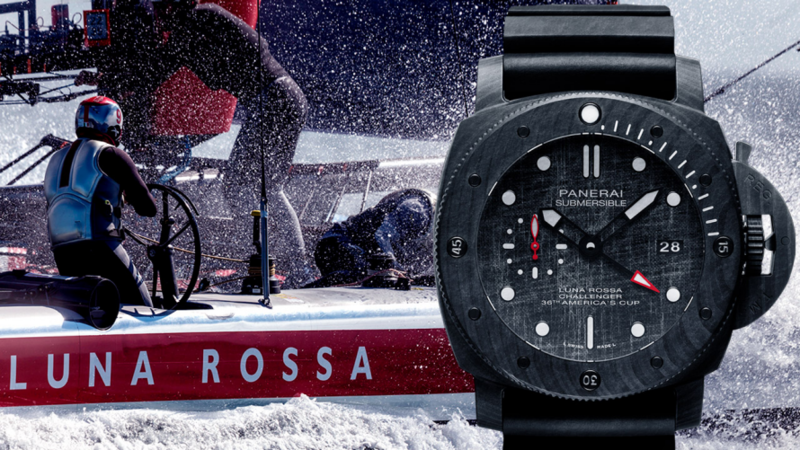 Officine Panerai has announced a new partnership with “Lula Rossa”, the official Challenger of Record team in the up and coming 36th American’s Cup. 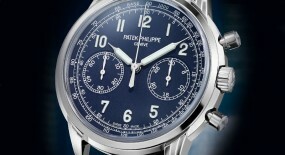 One of the oldest sports competitions still going on in modern times. 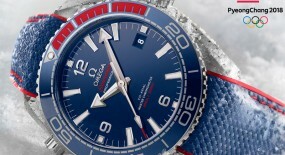 This watch will be worn by the Luna Rossa Sailing Team headed by Massimiliano “Max” Sirena. 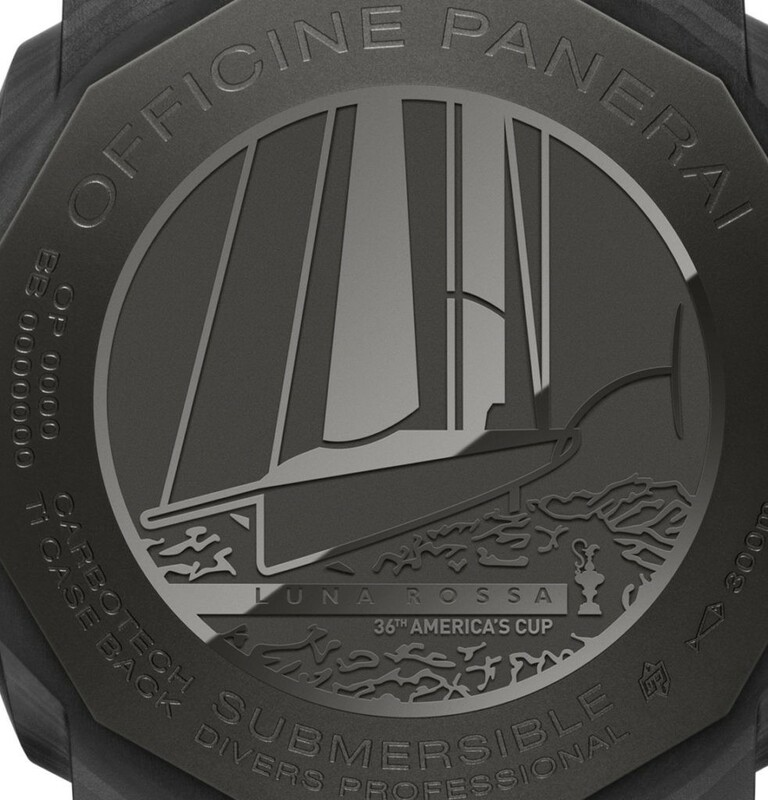 During the previous edition of the America’s Cup we saw Officine Panerai release several watches linked to this event. 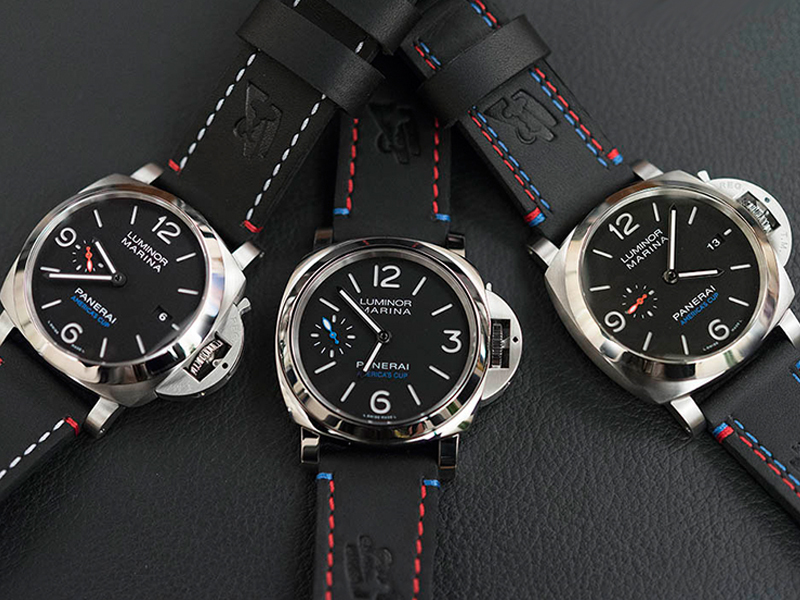 From a trilogy release that consisted of the stainless-steel “Luminor Marina 1950 America’s Cup 3 Days” references PAM 727, 723 and 724. 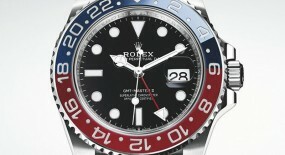 They came with black dials bearing red, white and blue highlights; as you can see and read more about here. 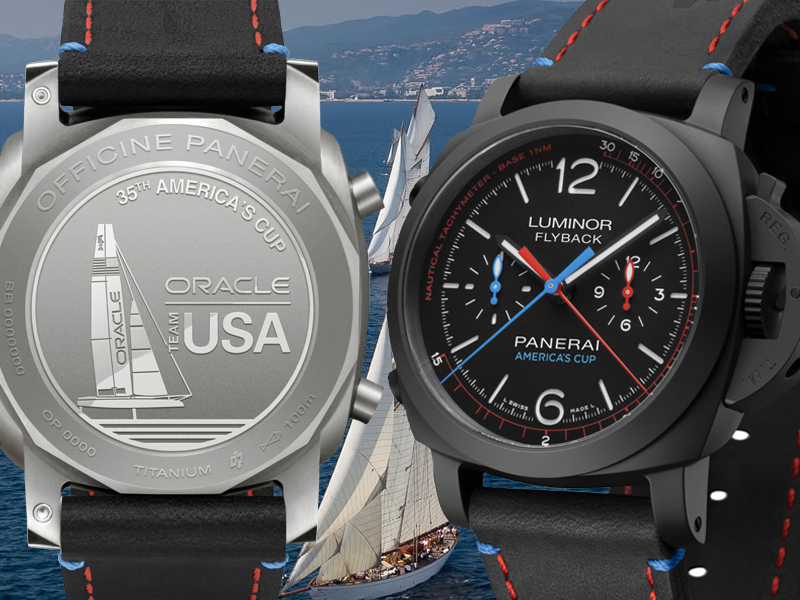 They also released the black ceramic “Luminor 1950 Oracle Team USA 3 days Chrono Flyback” (Ref#: PAM 725) and the titanium “Luminor 1950 Regatta Oracle Team USA 3 Days” (Ref#: PAM 726) both equipped with complications that could really prove to be useful at sea. 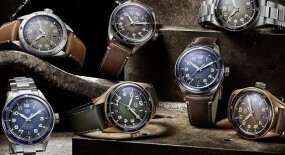 More details on these limited edition timepieces can be found here. 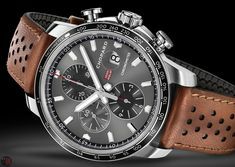 Stay tuned for and receive all the updates for the America’s Cup 36th edition at their official website here. 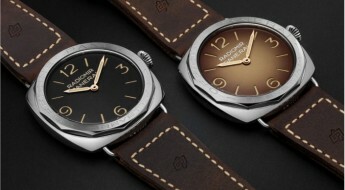 Now for 2019 Panerai is following-up with a 47mm case made of carbo-tech material. 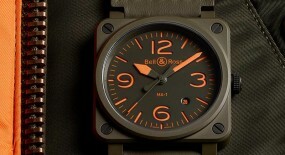 Besides carbotech offering an ultralight weight material that also very scratch resistant. 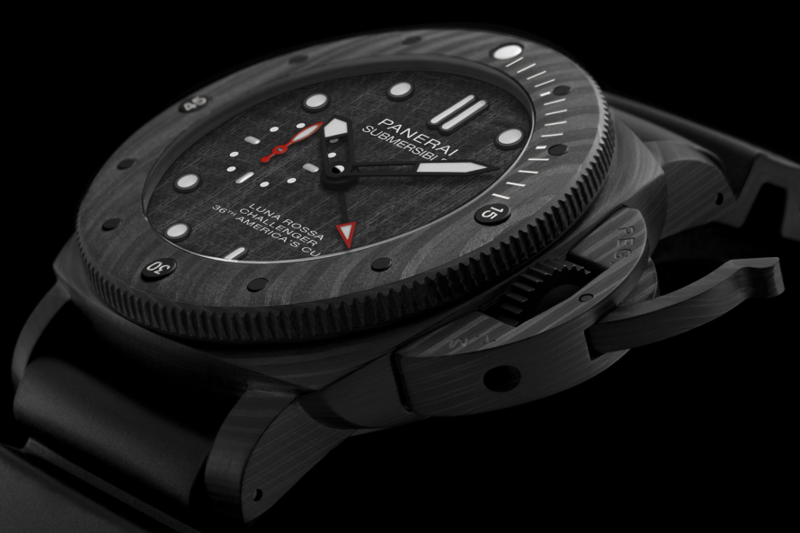 This option is also linked to the watches theme, since hull of the Luna Rossa’s AC75 ship is made of carbon fiber. 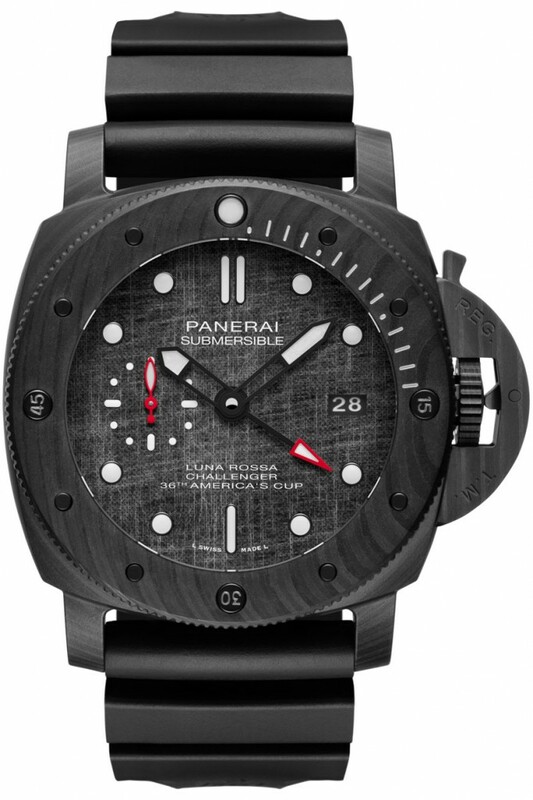 Mounted to the case is a carbon-tech unidirectional diving bezel with a sixty minute-scale and a luminous dot at the 60-minute mark. 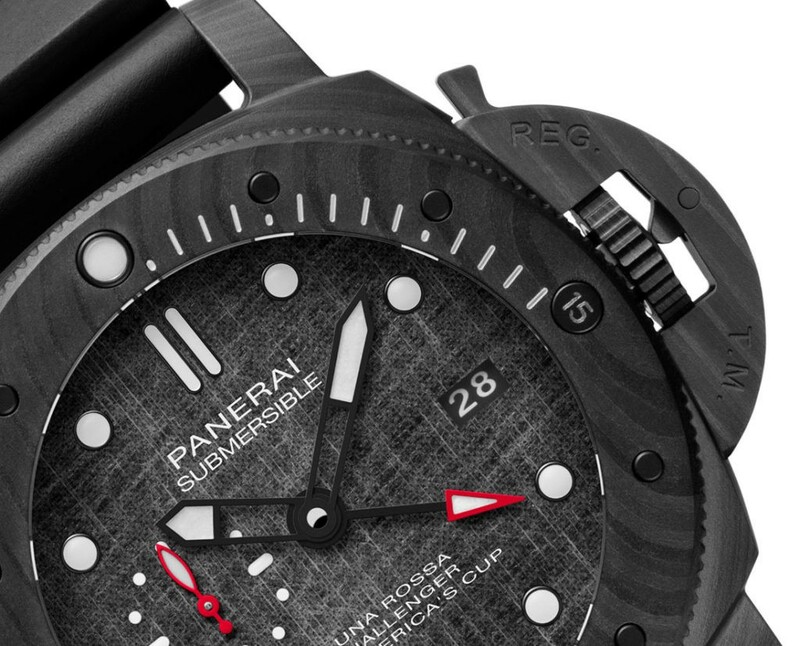 It also comes equipped with Panerai’s patented crown guard and a screw-on case back that features an engraving of a sailboat at sea with the “Luna Rossa” logo and the “36th AMERICA’S CUP” profile. 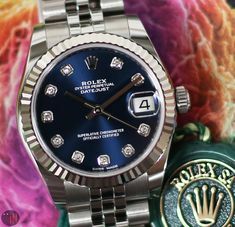 All topped by a sapphire crystal that also assists with water-resistance on this watch being able to reach up to 300 meters (1082 feet). 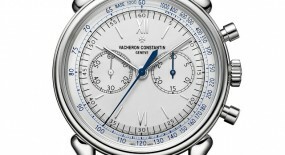 Time is exhibited on a grey sailcloth dial with white dotted and hour index markers, while the 6 and 12 o’clock positions are represented with baton shaped markers. 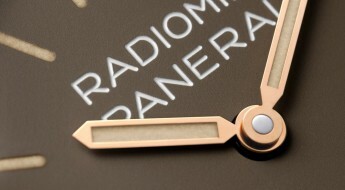 What we have here is not just any ordinary dial, to keep the watches theme intact Panerai has applied actual bits of cloth that were previously used on actual Luna Rossa sails. 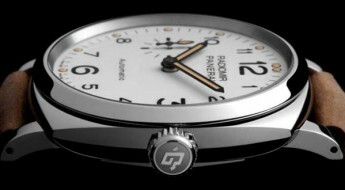 The central hands and red-arrow tipped GMT (second time zone) hand, plus the white dotted and baton shaped hour index markers have all been fitted with a luminescent coating, for an enhanced legibility. 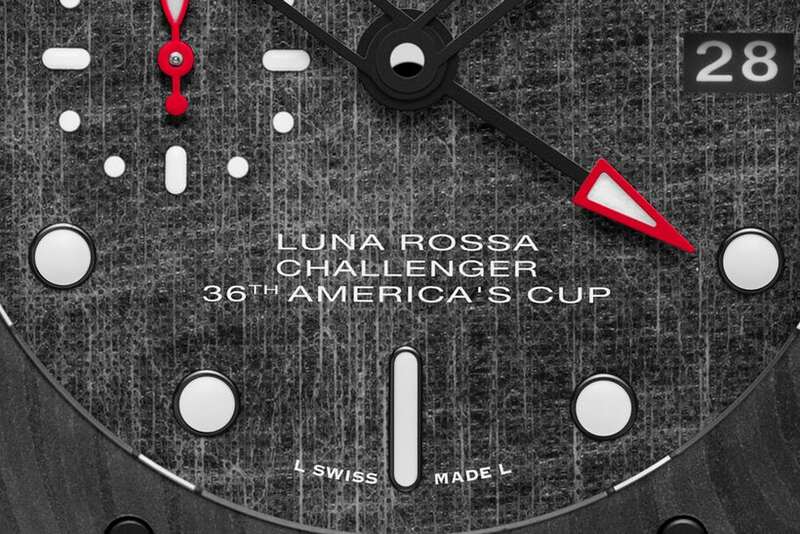 The inscription “LUNA ROSSA CHALLENGER 36th AMERICA’S CUP” can be seen on the lower-half of the dial. 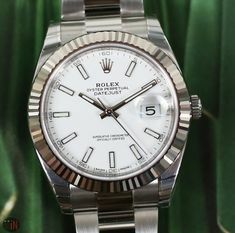 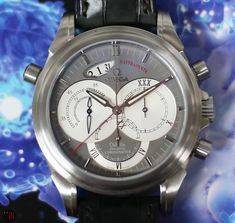 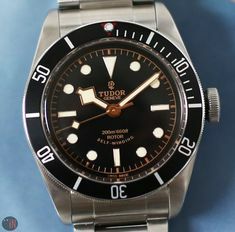 There is also a sub-seconds dial at the 9 o’clock position and a date aperture at the 3 o’clock position. 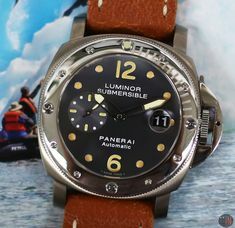 This “Panerai Luna Rosa Challenger Submersible” (Ref#: PAM 1039) is powered by a self-winding in-house mechanical movement, caliber P.9010/GMT with 31 jewels and 28,800 Vph. 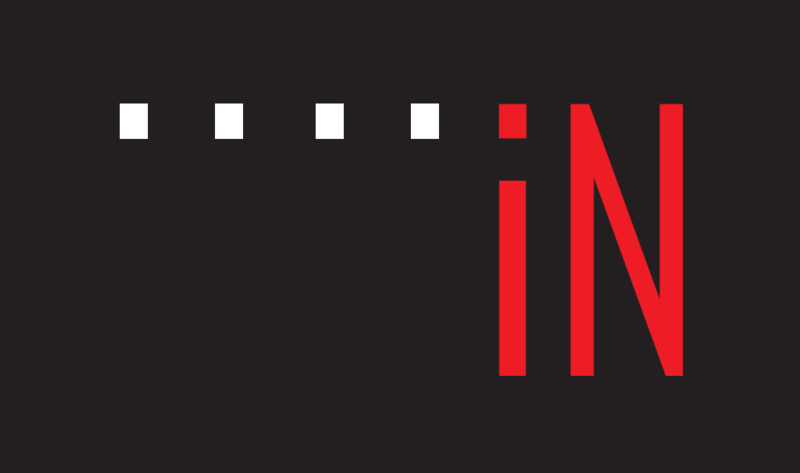 It comes equipped with an incabloc shock protection. 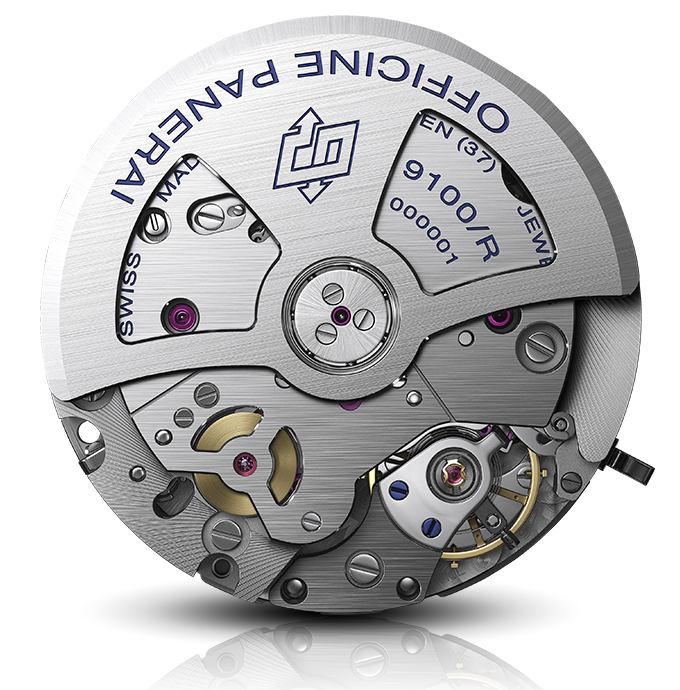 Power reserve on this watch can last up to 72-hours (3 days), when fully wound. 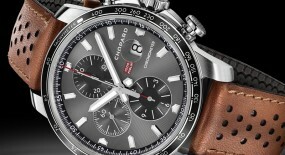 Mounted to the watch is a black caoutchouc strap, secured to the wrist by a titanium buckle. 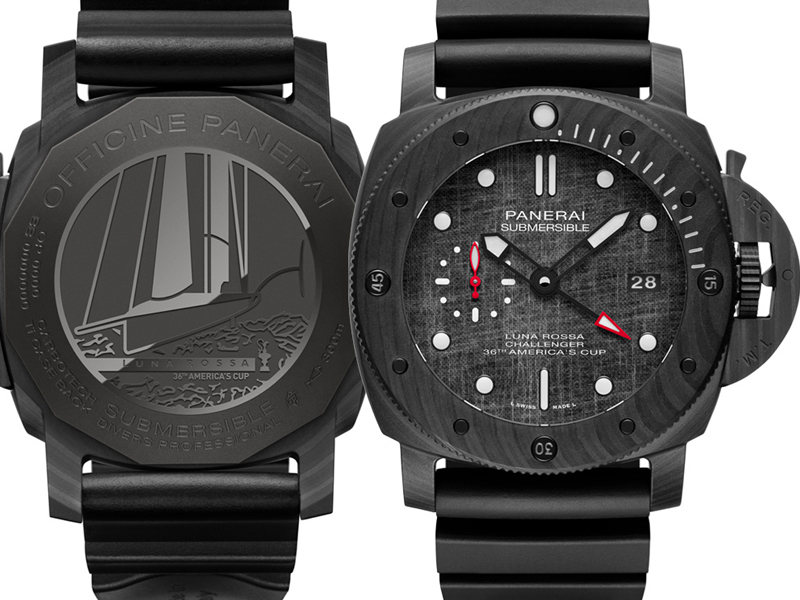 This is not a limited edition watch, but all pieces will be numbered with a limited production, which will be ongoing until the completion of the 2012 America’s Cup. 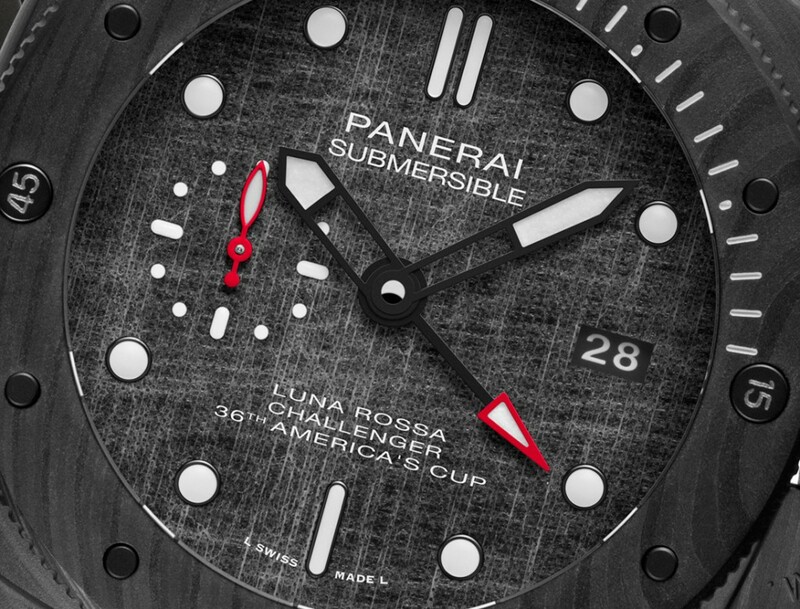 The “Panerai Luna Rossa Challenger” should become available in September 2019. 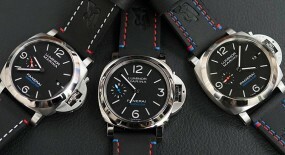 For more up to date information visit the official Officine Panerai website here.